St Andrew’s joined in the Red Nose Day fun with all the children wearing ‘Red for Red Nose’ and the school council organised a fun competition! Year 5 – All in Red!! 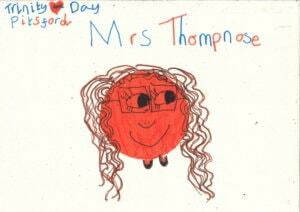 The children had to design a new red nose!! There were lots of interesting and fun entries and the school council chose a winner from Reception Year, Key Stage 1 (Yrs 1-2) and Key Stage 2 (Yrs 3-6) and they each won a Easter Egg. 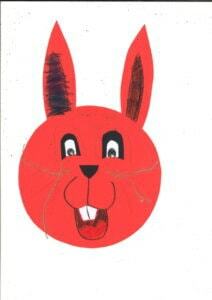 The winner of Reception year was Charlie Hartwell with his super Red Nose Rabbit (what big ears it has!) 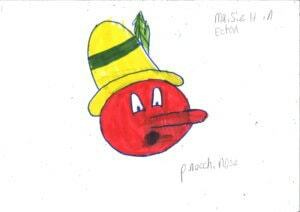 and Maisie Houghton from Key Stage 1 designed a ‘Pinocchi-nose’ – we think he had been telling some lies! The Key Stage 2 winner was Trinity Day who came up with a very apt ‘Mrs Thompnose’ inspired by our Head Teacher Mrs Thompson! 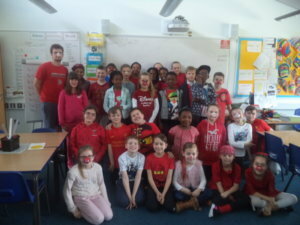 Well done to all the entrants and a big thank you to all the children who came in dressed in red with their contributions for Red Nose Day – we will let you know how much has been raised in this term’s newsletter.